Whether you’re an admirer of beautiful architecture or a devotee seeking a divine experience, Mumbai’s ancient temples are sure to impress you. Today they are magnificent structures that please the eye, but if you dig deeper, each temple in Mumbai comes with a story deeply steeped in history, culture and religion. Providing a window into the past, these temples are cultural gems that introduce you to various deities that are considered important in Hinduism, Jainism and various other sects and religions. 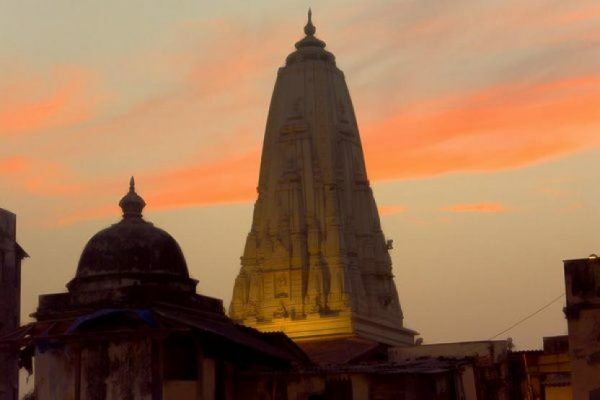 For those keen on visiting these peaceful havens, we’ve traced the best temples in Mumbai. 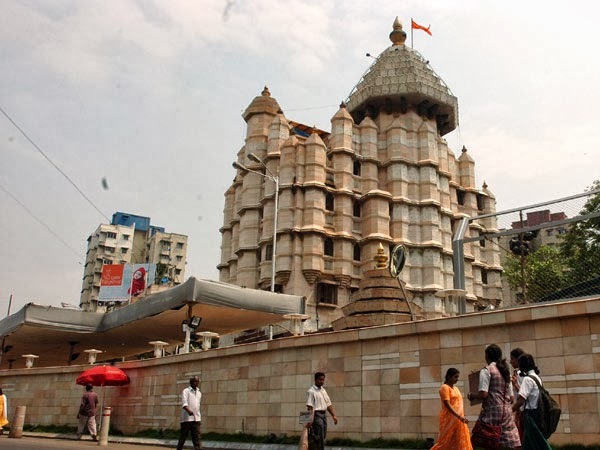 One of the best place for sightseeing in Mumbai, Siddhivinayak temple draws approximately 25,000 people daily. Dedicated to Lord Ganesha, this 19th century temple is also said to be Mumbai’s richest temple. The temple’s unique symmetry is complemented with wooden doors and gold plates on the roof of the sanctorum. 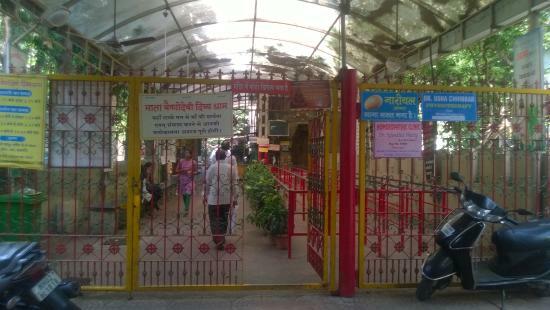 Siddhivinayak’s Ganesh idol is unlike any other in the country; all idols have Ganesh’s trunk placed on the left side, while here, it is on the right. Apart from the magnificent Ganesha idol, the temple also has a statue of Ganesh’s mushak. Devotees believe that any wish can be granted if you whisper it into the ears of the mushak with faith.The temple especially sees a packed house on Tuesday before its morning holy aarti. Originally said to be built at Bori Bunder in 1675 by the native Koli fishermen community, the temple was rebuilt later at Bhuleshwar. 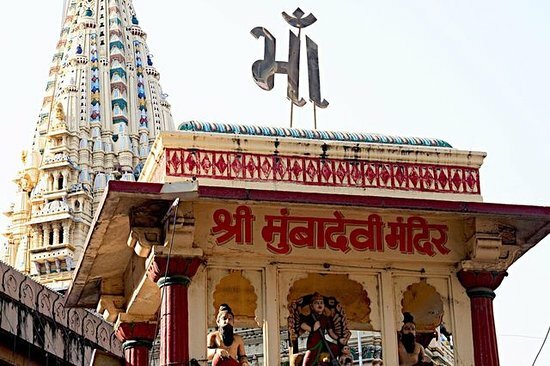 The temple is dedicated to Goddess Mumba, after whom even the city Mumbai is itself named.One of the oldest temples in the city, its colorful façade allures devotees and tourists alike. The main idol, which is completely made out of black stone, has a contrasting bright orange shade on the face. Decked up with a stunning necklace and crown, the idol stands out among the decorations at the altar. 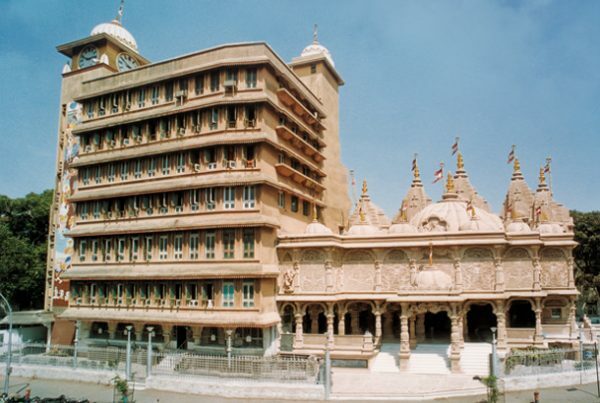 Just like ISKCON temples across the world, the one in Juhu provides a serene spot for meditation.Established by the founder of the Hare Krishna Movement, Acharya AC Bhaktivedanta in 1978, the temple is known for hosting religious functions of the Swaminarayan community throughout the year. The main structure which is built of spotless white marble is decked with intricate carvings, and is known for its neat architectural design.On the premises, they also have guest houses, libraries, as well as a huge restaurant that serves simple, yet delicious food. 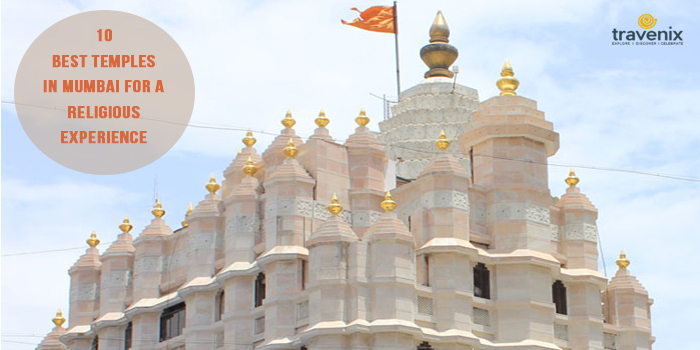 Overlooking the beautiful Arabian Sea, Mahalakshmi Temple’s edifice is simple, yet attractive. Dedicated to the Goddess of wealth, the temple also houses idols of Goddess Kali and Goddess Saraswati. All the three statues in the temple are bejeweled with gold bangles, pearl necklaces and striking nose rings.Every morning at 6AM, devotees throng the temple when these idols are bathed and an aarti is held. Mahalakshmi Temple’s Navratri and Diwali celebrations are grand, so if you want to witness its entire splendor, and can handle the huge crowd, it is the best time to visit. Rebuilt after the discovery of three idols in 1700’s, the temple is said to have been built originally in the 12th century. Out of the five idols in the main temple, only four were recovered. 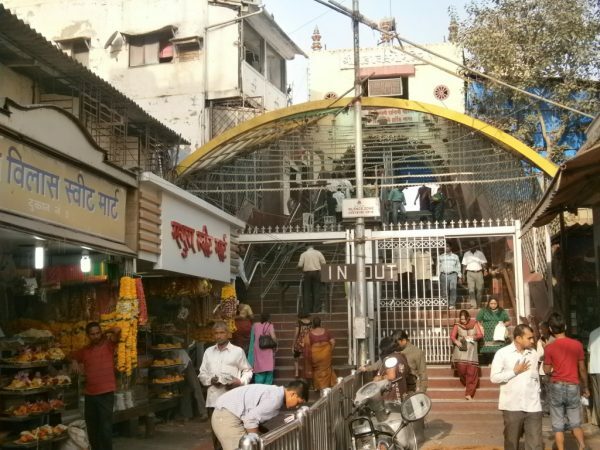 The temple is dedicated to Lord Shiva and has a unique idol of him in the form of a Babul tree. The temple’s construction is said to be similar to that of Shiva’s abode in Mount Kailash. It is built at a height of 1000 feet above the sea level, so be ready to climb a hundred stairs to reach the main structure. For those who’d prefer a more comfortable visit, you can opt for the elevator too. 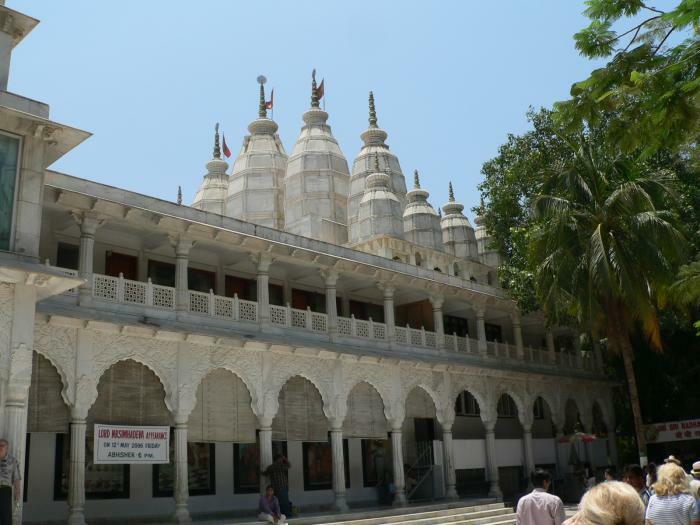 One of the most famous Jain temples in Mumbai, Babu Amichand Panalal Adishwarji Jain Temple is famous for its architecture. Built in 1970, the temple is of immense importance as it is dedicated to Adishwar, the first of the 24 tirthankaras in the Jain religion. The temple’s entrance has two beautifully decorated elephants and colorful pillars all around the main structure. Inside the temple, the dome is filled with attractive paintings; some of which depict stories from the scriptures. Styled after the grand Sabarimala temple in Kerala, the Mini Sabarimala temple is the first temple dedicated to Lord Ayyappaoutside Kerala. The current edifice was constructed in 1980 on the ruins of an older Ayyappa temple which was destroyed by invaders many years ago.Situated on a small hillock in Kanjurmarg, the temple’s beauty is augmented by a stream flowing nearby. Unlike the original Sabarimala temple in Kerala which is only open for worship in November and December, this temple is open throughout the year.Special pujas are performed on every Tuesday and Friday. Walkeshwar Temple is said to have been the place where Lord Ram halted on his way to Lanka. According to legend, Lord Laxman made the Shiva Linga at the temple himself using sand; hence it was given the name of Valuka Ishwar, or the God of Sand. The temple was modified was twice: once in 1717, and later in the 1950’s. Known for its fractal design structure,the temple now also hosts various events including classical music festivals. 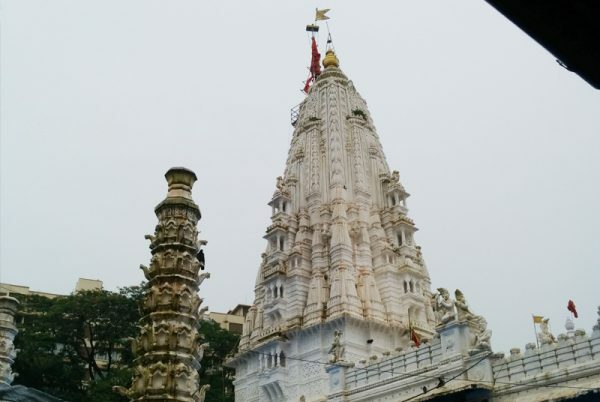 Just like the main Vaishnodevi temple in Jammu and Kashmir, this temple in Malad involves a short hike before you reach the inner sanctum.The hike, which involves going through caves and small streams, gives a truly memorable experience. 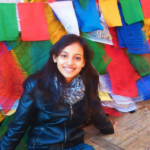 For those who can’t travel to Jammu for the divine pilgrimage, this temple is a must visit. The idol inside the temple is also an exact replica of the one in the main temple. 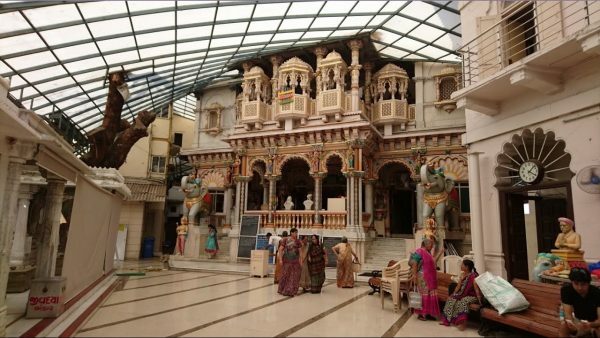 Located next to the famous phoolgalli, one of the biggest markets in Mumbai, the Swaminarayan temple is a visual treat. Almost a hundred years old, the temple’s tri-spire structure is a unique one. Painted with a pinkish hue, all the structures are elaborately carved. 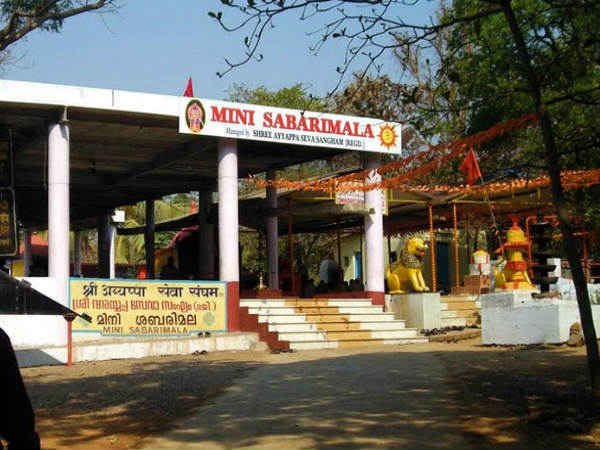 There is also a Sabhamandapor a gathering place which has beautiful paintings depicting stories of Lord Krishna.The temple regularly holds religious discourses and other events. Did you get a chance to visit any of these temples yet? Do let us know about your experience and also share any other beautiful temples that we might have missed on our list in the comments sections below.